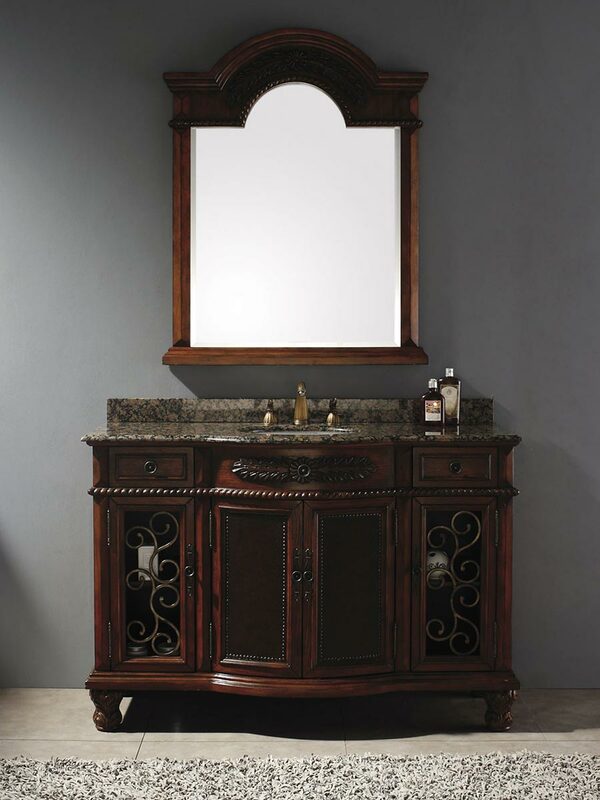 The 53" Langreo Single Vanity features intricate metal work that sets this apart from other traditional vanities. 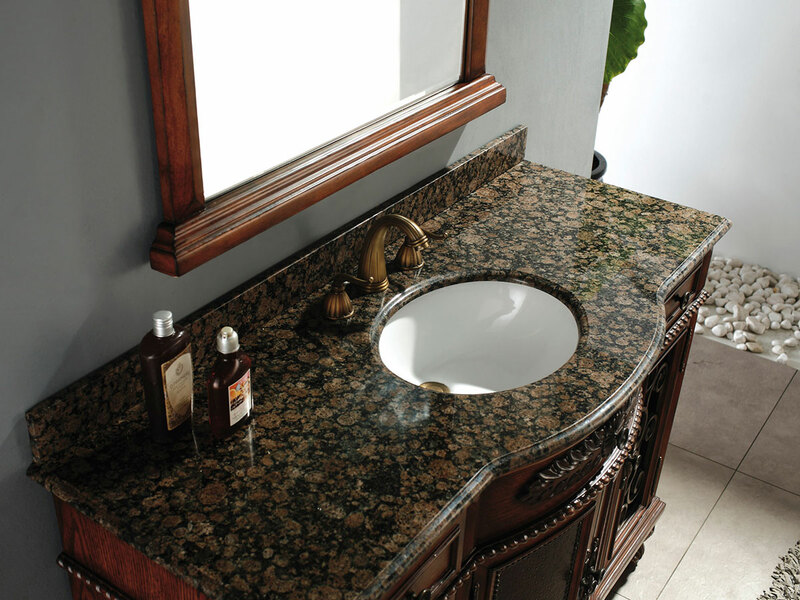 Its natural granite top is finished and sealed to prevent stains and water marks. For storage and organization, there are four doors and two drawers on metal glides. The cabinet is made from kiln-dried solid birch wood for resistance to warping and cracking in fluctuating humidity. 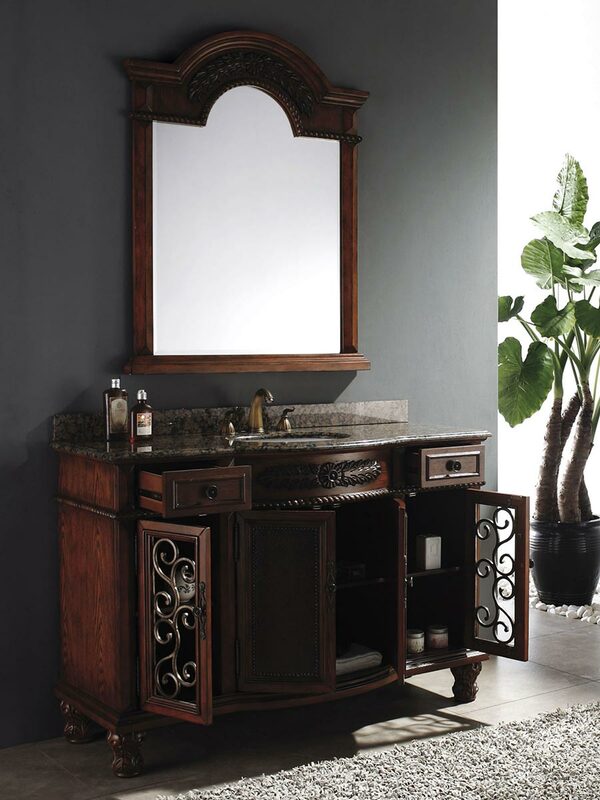 The intricate details adorning this handsome vanity are all hand painted and hand carved. 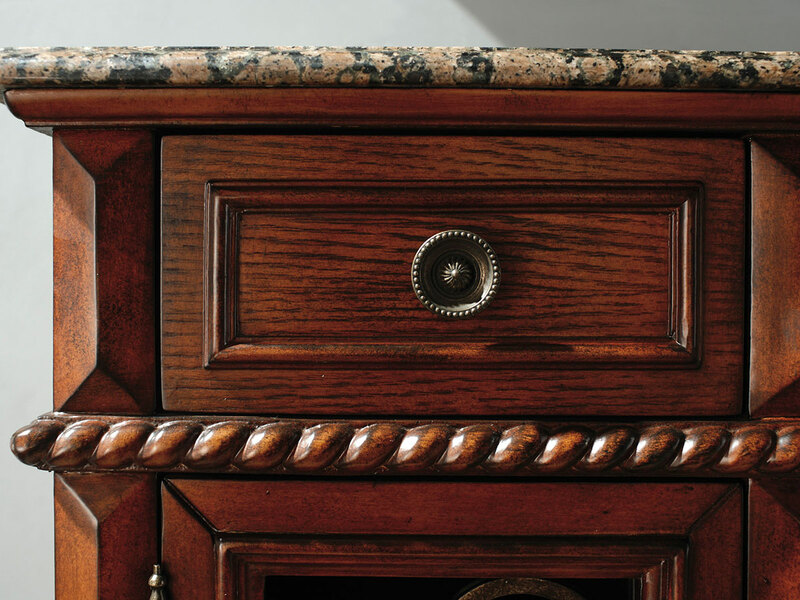 For extra durability, the rich cherry finish is achieved through a multi-layer, 12-step hand glaze process to prevent peeling, cracking, and fading. 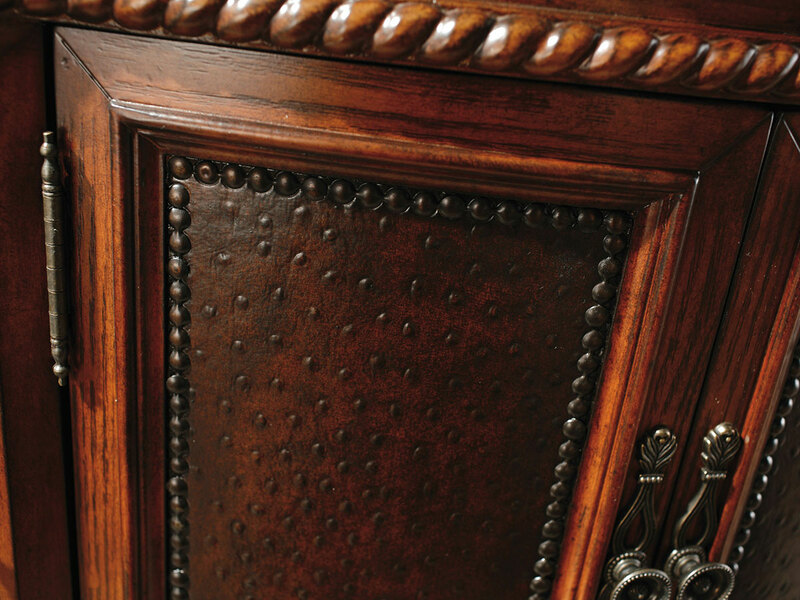 The center doors have a faux leather treatment that offers a nice contrast in texture to the wood and metalwork. To complete the design of your bathroom, a matching mirror is available. Faucets sold separately.